IF anyone had told you last year that a pale, skinny man with a bird’s nest hairdo, perpetually tight pants and a penchant for eyeliner would have women fainting with lust all over the globe in 2009, you’d have laughed in their face. 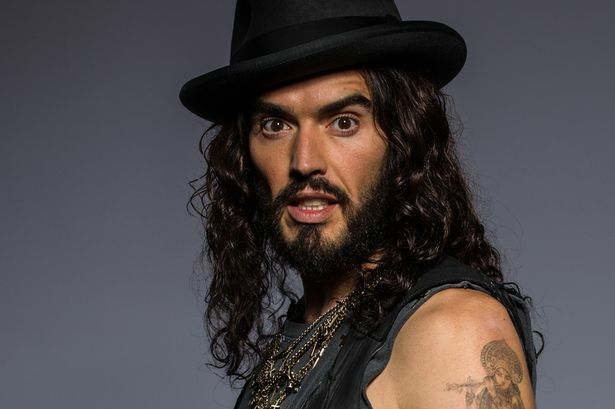 Ever since his break out role as egotistical rockstar Aldous Snow in the bawdy 2008 comedy hit Forgetting Sarah Marshall, wild-haired, punk-dressed English comedian Russell Brand has taken the world by storm – particularly the female half of it. Australia is no exception – his TV show Russell Brand’s Ponderland has gained a cult following, despite being buried in Ch7’s graveyard shift, and his recent stand-up tour of Sydney and Melbourne was a sell-out. When I call for our interview, the enfant terrible is busy handing out cupcakes to throngs of adoring fans in Melbourne’s Brunswick St (‘‘to make people happy’’,he says) and chatting up girls. Once upon a time, if a bloke like Brand stopped you on the street and offered you a pastry, you probably would have called the police, but noone on Brunswick St seems worried about taking cakes from a wild looking stranger. Ponderland–a half-hour stand-up show in which Brand riffs on quirky archival footage on various topics from family to animals – is a perfect showcase for his gift of the gab. ‘‘Always when I’m watching TV with my friends,we find funny moments like that, like ‘that person is lying’ or ‘that person has ridiculous hair’ - although often that’s because the TV’s not turned on and it’s just my reflection,’’he says. ‘‘But you know when you’re watching television with someone you love and you think ‘that’s stupid’ or ‘that’s funny’ or ‘isn’t that lovely?' and it’s not really the intention of the program makers? Labelled ‘‘Shagger of the Year’’ for three years running by Britain’s The Sun newspaper, Brand is extremely comfortable with his reputation as a ladies’man. Even during his short time in Australia, he was labelled a serial flirt – a title he embraces. ‘‘I don’t mind, as long as they acknowledge that mostly the cereals started it,’’hes ays. Originally published in TV Guide.